Editor's Note: I laughed a bit when they censored the song name. Tom Petty and the Heartbreakers offered up a Beck cover (A-hole) and a slew of new songs from their She's the One soundtrack at an AmFAR benefit at the Beverly Hilton Hotel, in Los Angeles. 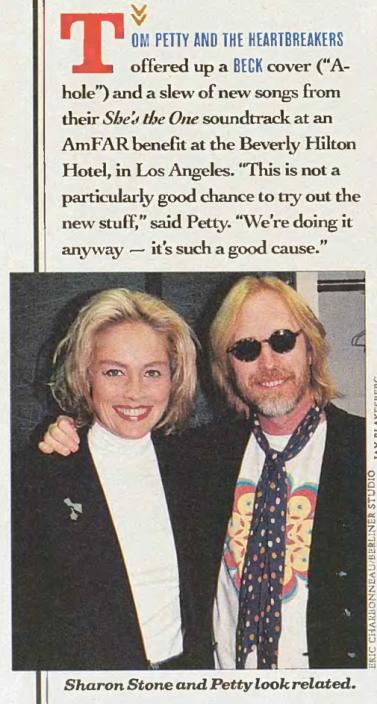 "This is not a particularly good chance to try out the new stuff," said Petty. 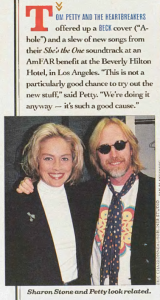 "We're doing it anyway -- it's such a good cause."